2014 is the year of Octavian Augustus. He died the 18th of August 14 A.D. in Nola, on his way back to Rome from the island of Capri. The most gifted, successfull and talented political man of human history passed away. A ruler of immense talent and with a revolutionary vision: the Empire. It is the end of his life but also the rising of a new era. His official last words were, “I found Rome a city of clay but left it a city of marble”. According to his wife Livia and his adopted son Tiberius, however, his last words were others, “Have I played the part well? 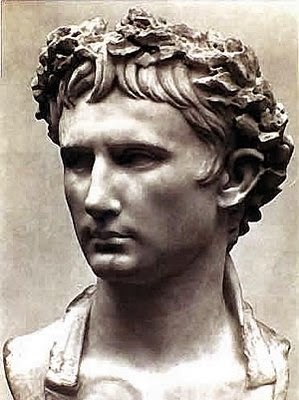 Then applaud as I exit.” Maybe both are true, nobody will ever know... Augustus’ body was brought back to Rome in state and, on the day of the funeral, all businesses in Rome closed out of respect for the emperor. The emperor’s body was cremated and his ashes interred in his mausoleum, now known as the Augusteo. The exhibition is organized by Azienda Speciale Palaexpo - Scuderie del Quirinale in association with the Musei Capitolini, Rome, and the Réunion des musées nationaux - Grand Palais and Musée du Louvre, Paris. The exhibition at the Scuderie del Quirinale will be using a selection of works of art of the highest artistic quality including statues, portraits, household objects in bronze, silver and glass, golden jewellery and precious stones, to offer visitors the chance to explore the emperor's life and career, which coincided with the birth a new artistic culture and language that continues even today to lie at the very root of Western civilisation.